Previously we discussed the need for creators and dreamers to stay focused: concentrating on their “one thing”; keeping their eyes on the Lord, who equips and empowers; and avoiding distractions that can knock them off course and drain their precious time and creative energy. 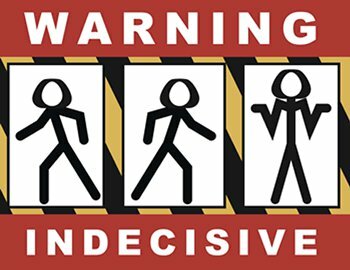 There’s yet another way to stay focused, which involves making decisions and choices — and then sticking to them: Don’t be double-minded. Can creators accomplish anything worthwhile and lasting if they’re double-minded? Can dreamers truly reach their goals and see their visions fulfilled if they don’t avoid this state of mind? Perhaps. Stranger things have happened. Merriam-Webster defines double-minded as “wavering in mind: undecided, vacillating.” The term first appears in the above quoted verse, and no doubt James, the half-brother of Jesus Christ, derived the word from the Greek dipsuchos, which denotes “a person with two minds or souls.” Related words include: fickle (“marked by lack of steadfastness, constancy, or stability: given to erratic changeableness”); indecisive; disloyal; wishy-washy (ineffectual); fair-weather (as in “fair-weather friend”) and even schizophrenic (in its popular usage)! It’s not a particularly nice way of describing an individual, because people generally disdain this quality. We impatiently ask our friends to “please make up your mind!” We criticize politicians for being wishy-washy regarding key issues. And in the classic Hitchcock thriller Psycho, poor confused Norman Bates — who frequently dresses up and acts like his own mother — is definitely “double-minded” (as in schizoid). A movie so bad it’s almost good — but this makes a cool illustration. In the context of the Book of James, the quality of double-mindedness has more to do with divided allegiances, and the fear and doubt people experience when they take their eyes off God and start concentrating on their problems and circumstances. Such people, to put it mildly, are distracted — definitely NOT focused. As a result, they may choose a course of action or start a new project only to abandon it at the first sign of trouble. Double–mindedness is also about being undisciplined in one’s way of thinking. It’s being unresolved and unsettled. It results in a person second-guessing each and every step taken. Double-mindedness is being pulled in multiple directions; following all the latest fads, diving into every controversy (whether in the community, at the job, or on social-media platforms). It can result in a “yoyo personality” in which one experiences frequent and sudden emotional ups and downs. Another symptom of double-mindedness is a heart in constant state of conflict — between what the Lord has called you to do (your “one thing”) and what others expect you to do. Going nowhere fast! 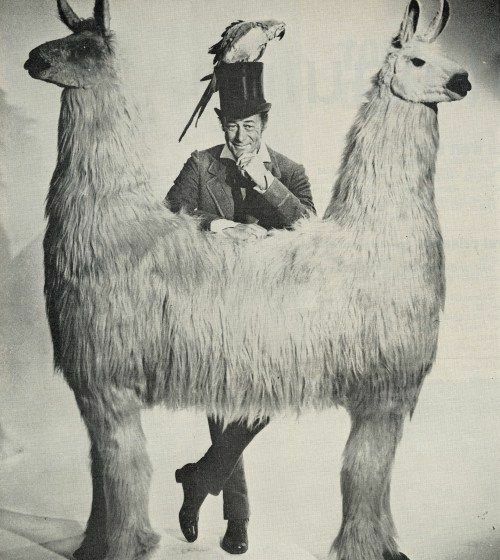 Rex Harrison as Dr. Doolittle, with his animal friend, the pushmi-pullyu (push-me-pull-you). In other words, make a decision based on what God has shown you, and then stick with it. If we don’t stay focused, regardless of all the distractions in life, and continually rely on the Lord to help us, we will not accomplish our goals and realize our dreams. Instead of “arriving” on the shores of destiny, we’ll continue to be lost at sea, so to speak. In part, staying focused (not double-minded) requires learning how to say “No,” and really meaning it. People will continually make requests, invite you to activities, expect you to meet a variety of needs, many of which may be worthwhile. But the timing and circumstances, as well as one’s priorities, must always be considered. Is this a real need — or a want? Am I the person best suited to meet this need? Am I only person who can meet this need or request? Does the requester have other untapped resources or relationships? Then, regardless of the individual and the circumstances, ask the Lord if the need/request is something He wants you to get involved in. What’s that? In the midst of giving and serving we can also look out for own hopes, dreams, and needs? Contradiction? No. 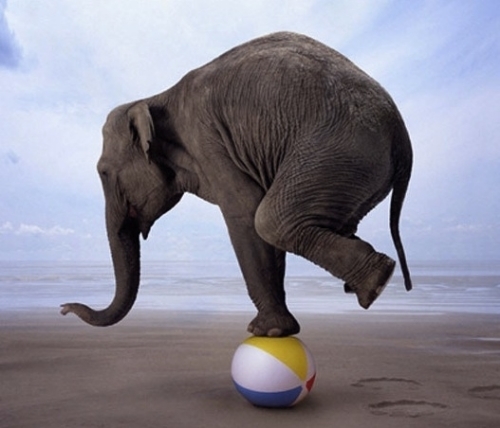 But maintaining a sensible balance is essential. Click on above image to view previous lessons.